We can't be any more direct - this is a critical point in this campaign. 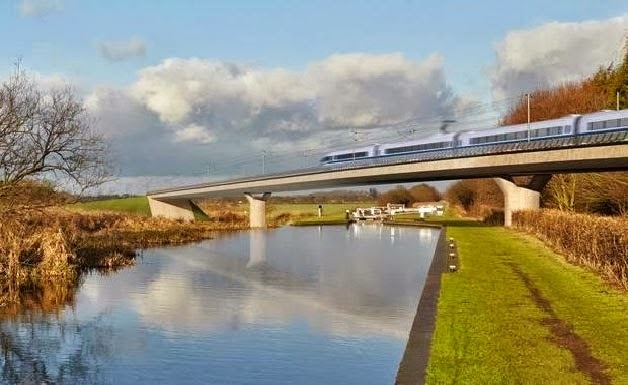 People in Buckinghamshire who are impacted by HS2 have only a short period to make their views known to Parliament before a special committee of MPs begins detailed consideration of the Hybrid Bill authorising construction of Phase 1 of HS2. This process is called "petitioning". You, your neighbours and anyone else who would be impacted by the construction and operation of HS2 should submit a petition to Parliament setting out your concerns and detailing what solutions you would like to see. It's your only chance to let the committee of MPs looking at HS2 know your views. HS2AA have worked hard to ensure petitioning is as easy as possible. Full details on how to petition can be found at "www.hs2aa.org/petition" where you will find all the documents you need to submit a petition.If you have limited time download our quick petition from our website. You will also need our fact and cover sheet which you can download here. To submit a petition you must either hand it in person at Parliament or if you can't make it to Westminster, provide it to your Member of Parliament to submit on your behalf. But remember if a business wants to petition the deadline is May 16th. For individuals, parish councils and other community organisations the deadline is May 23rd. As well as completing your own petition, remember that every other person in your household and community of any age can petition. Schools, churches, community facilities such as sports clubs that are impacted by HS2 can also petition. Even your MP can petition-and it's important he or she does this to ensure a better outcome for your community. All the details of how these groups can petition are on our website. "www.hs2aa.org/petition"
HS2AA have also arranged for volunteers and legal professionals to be at the Taxpayers Alliance, 55 Tufton Street, London SW1P 3QL between 1PM-6PM on Thursday 15 May. You will be able to get help to complete a petition on the spot and take a five minute walk to Parliament to hand it in personally. (i) Make sure you submit a petition as soon as possible and prior to the deadline of May 23rd for individuals and May 16th for businesses. (ii) Ensure your spouse and any children who live with you and neighbours submit a petition too. (iii) Encourage any organisation which you are connected to which would be impacted by the construction and operation of HS2 to petition too. All the materials they need are at www.hs2aa.org/petition. (iv) Contact your MP and ask him or her to petition too on behalf of your area. Please consider this call to action. The timescale is very short.